"For the better future than the past"
02. Development of white clay powder for water quality improvement for algal blooms, red tide, farm, factory wastewater. 07. Clean Air Deodorant was upgraded. It removes almost all odors including tobacco odor. 10. Developed the world's first fragrant Iron Cut Remover. 02. Developed and exported Clear Coat TIRAMICS for Steel Coating. 09. Titanium V2 was upgraded. Slippery properties and durability are further enhanced. 02. Water Based Fabric & Leather Coating, RePulsionX was released. 03. Developed and exported "CleanAir V2" Odor Eliminating Coatings for cattle. 03. Water Based Titanium V3 Top Coating was released. 04. T-Fusion 2k top coatong was launched. 06. Renamed to the company SeeUm Co., Ltd.
12. PreLoad Essence Coating was launched. 06. T-Cera Top Coating was launched. 10. Developed and exported RIONIX Golf Ball Coating for Hitting Farther and Gain Accuracy. 03. Launched PPF Base Coating, Titanium V2, ReLoad Care Coating and Xcelerator Finish Polish. 10. Developed and exported Odor Eliminating Coatings, "CleanAir " . 05. 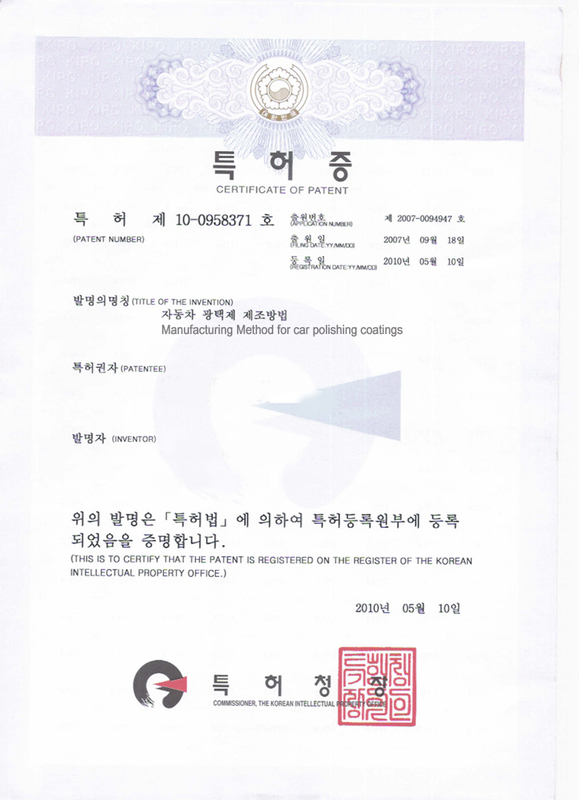 Acquired patent right of The Manufacturing Method for Car Polishing Coatings. 03. Microfiber Towels, Wool Wash Mitts and Car Accessories were released. 06. Established AQuartz Co., Ltd.
07. Nano Titanium Coating V1 was launched.